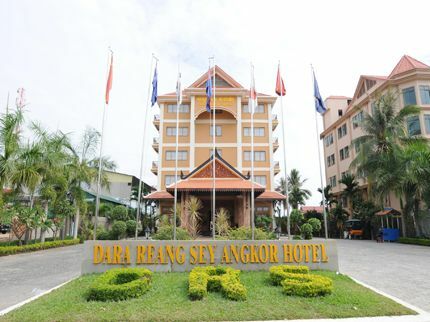 Dara Reang Sey Hotel is the best place for tourists and corporate guests who expect excellent hospitality and friendly services. 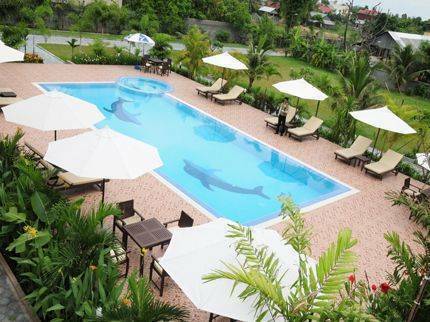 Whether you are on business or travel pleasure, the Dara Reang Sey Hotel is a luxurious haven, elegantly furnished to provide you with comfortable stay. 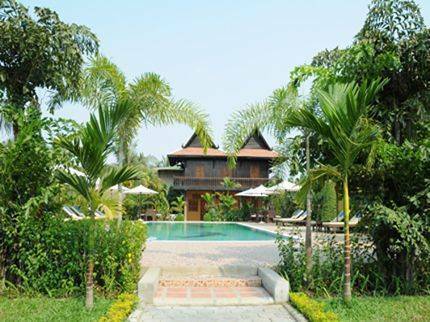 Experience ultimate luxury and bask in the splendor of elegance at the Dara Reang Sey , the the perfect base to explore the legendary Angkor Temples and undiscovered treasures in Cambodia. 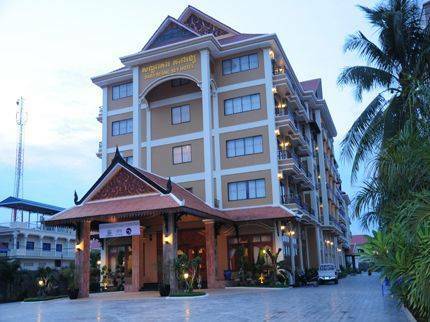 Dara Reang Sey Hotel is located on the Nationl Road # 6, in the Central Business District, the heart of Siem Reap City. Our facilities & services are included Business center, Money Exchange, WIFI/ Internet connection, Souvenir Shop, Conference room, Restaurant, Lounge Bar, Lobby Bar, 24 hours room service, 24 hours security, Baby sitting service, Laundry Service, transportation, Disable facilities and doctor on call. 24-hr front desk Airport pickup All inclusive plan BBQ area Baby Cot (on request) Bar/lounge Bathroom amenities Bathtub with hot & cold shower Bicycle rental Breakfast included Business Center Business center Car rental Coffee table Coffee tea and making facility Color Cable TV with remote control Concierge Conference Room Cotton Bathrobes Currency exchange Dara Reang Sey Hotel property amenities include: Restaurant Dara Reang Sey Hotel property amenities includes: Restaurant Electronic safe Elevator/lift Express checkout Fitness Center Fitness equipment Gardens Gift shop Group services Hair Dryer Handicap access IDD and Local Telephone In-Room Facilities In-Room Facilities and Others additional Services. Internet Access Laundry/valet service Lounge Bar Luggage carriers Manual Air-conditioned controller Massage Center Meal plans Meeting facilities Mirrors Newspapers/magazines Open 24 Hours Parking (free) Pets not allowed Pool (outdoor) Restaurant on site Roll away bed (on request) and Lamp Shades. Room service Safe deposit box Smoke detector Smoking not permitted Souvenir Shop Spa Stocked Mini bar Swimming Pool Taxi service Toilet Tour/sightseeing assistance Umbrella (on request) Voltage converters WIFI (extra charge) WIFI (free) Working Desk with Stationery and others Additional Guest services. Cotton Bathrobes, Bathroom amenities, Bathtub with hot & cold shower, Coffee tea and making facility, Smoke detector, Electronic safe, Hair Dryer, Umbrella (on request), Baby Cot (on request), Coffee table, IDD and Local Telephone, Manual Air-conditioned controller, Color Cable TV with remote control, Mirrors, Disposable Slippers, Internet Access, Stocked Mini bar, Toilet, Working Desk with Stationery, Roll away bed (on request) and Lamp Shades. Full payment need to be settled upon arrival or departure by credit cards, cash. Any cancellation made within or less than 1 days subject to impose one night charge and No show will be imposed full amount of the accommodation length. 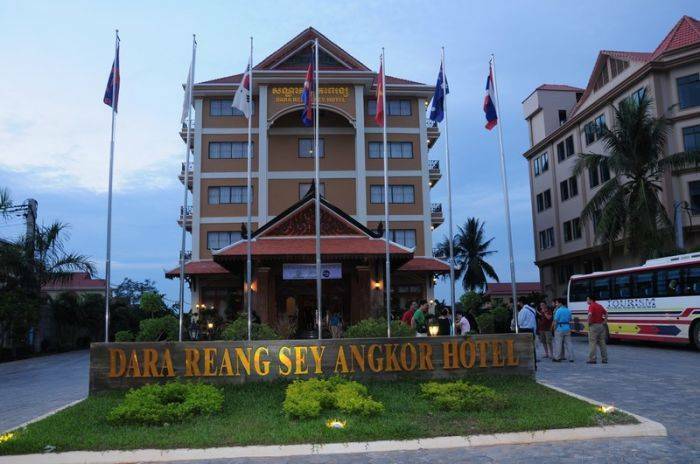 Dara Reang Sey Angkor Hotel is located along the National Road 6 Seim Reap Cambodia. 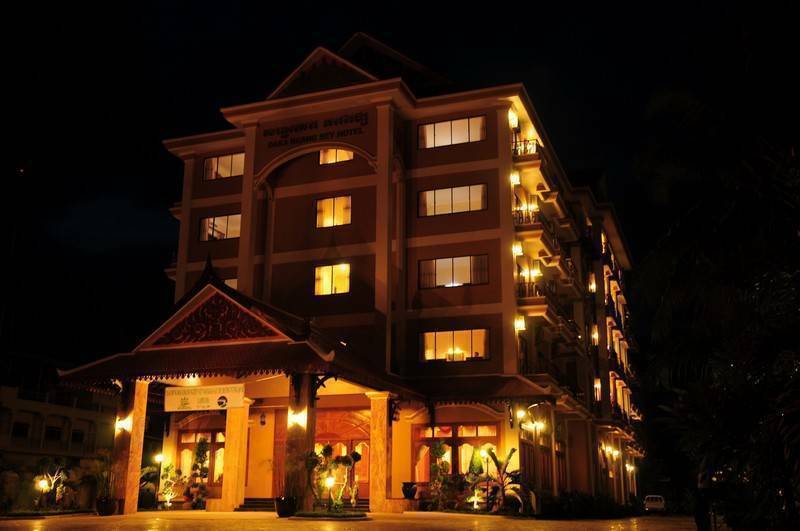 It's drive only about 20 minutes from Siem Reap International Airport. 15minutes drive to the Angkor Wat Archaeological Park. For in the French Old Quarter and around the Old Market, it will driver about 10 minutes and where the best for shopping from stone to chicken souvenir to you love onces. The Local transportation will provide as By Buses, Cars, TUK TUK, Motorcycle and private taxi.